South West Beekeeper are hosting a talk by Aoife Mac Giolla Coda on nuc making and flora for bees. 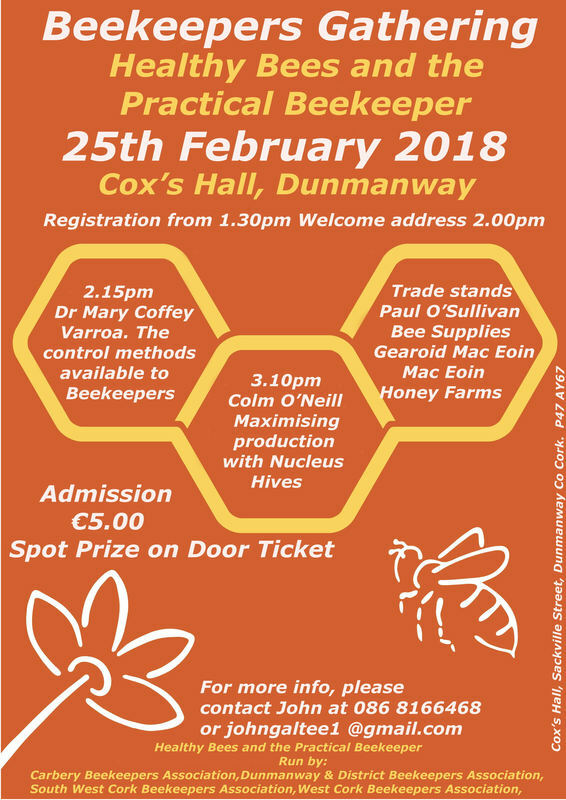 South West Beekeeper are hosting a talk by Billy O Rourke on spring management. Mary O’Riordan is a former Secretary of the County Cork Beekeepers’ Association. awards for her honey and beeswax products. David Lee will give a talk on Queen Rearing on Monday,5th of March at 8.00pm in the Meeting Room, Dunmanway Hospital, organized by Dunmanway and District Bee Club. Everyone welcome.